Heading on a cruise and not sure what to stuff in your suitcase? 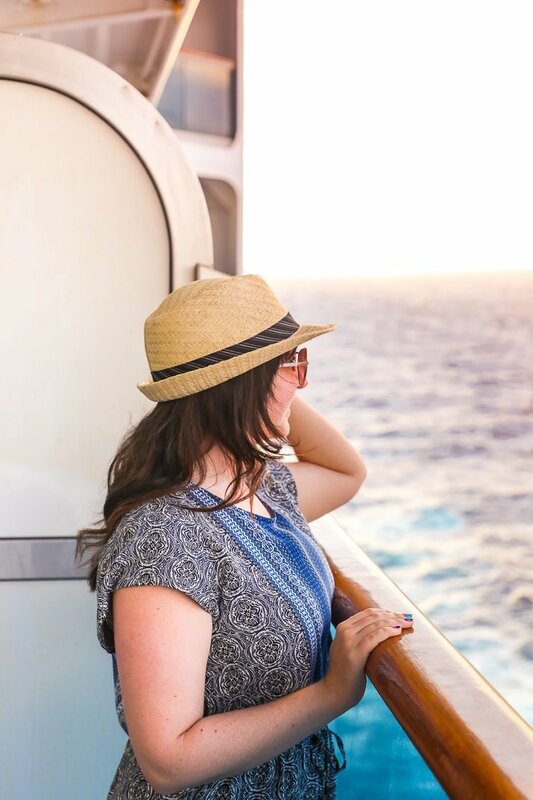 Here’s a list of What to Pack for a Caribbean Cruise so you’ll have everything you need to enjoy your trip! If you’re a first-time “cruiser” who has questions about a trip at sea, you’re in luck! 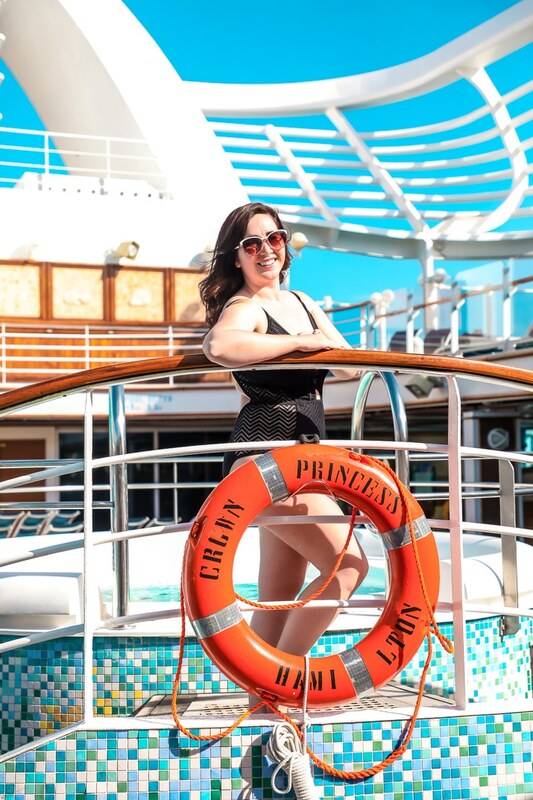 Thanks to my recent partnership with Princess Cruises, I got to experience a floating vacation on a Caribbean Cruise aboard the Crown Princess, and I can’t wait to share some pointers with you. All opinions are 100% my own. Chances are, you’ve been affected in some way by the recent cold snap, and here in Maine, we’ve been hit by a monstrous blizzard. As the wind and snow whip outside my window, I can’t help but dream about that week in November when we sailed under the Caribbean sun and ventured along the colorful shores of the Yucatan Peninsula (sigh). If this winter weather is getting you down and you’re seeing mirages of white sand beaches and turquoise water, it may be time to start thinking about booking a Caribbean cruise. If you’ve never done it before, the thought can be intriguing but a little daunting. (What if I get bored? Is it safe? What do I pack? HELP!) Don’t worry, I’ve got you covered. You see, I had a few reservations before heading aboard the Crown Princess, myself. But after a week of swimming, sightseeing, exploring, and lounging, I can assure you, cruises are a total blast! For starters, there is no lack of things to do! Whether onboard or off, Princess Cruises makes sure that every second of your exotic vacation feels like you’re living in paradise. The ships are massive, and loaded for vacationers of all ages, with all sorts of interests. 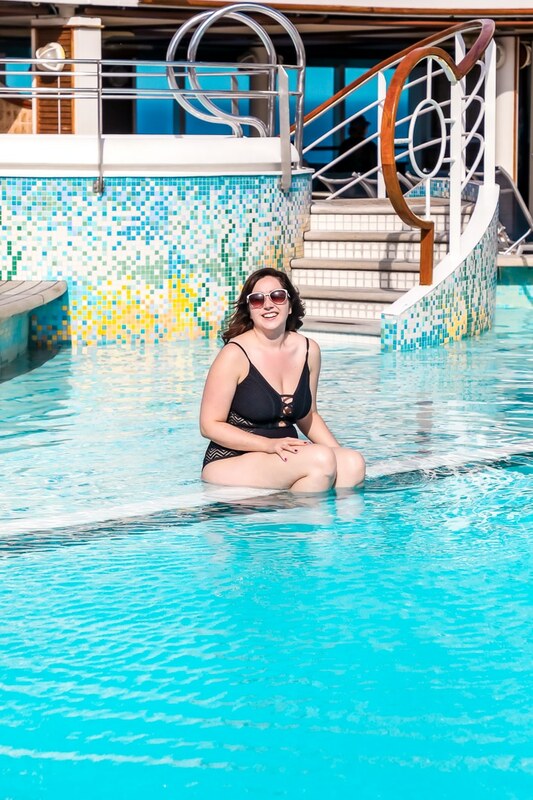 They offer wine tastings and cooking demonstrations, ship tours, live shows, mini golf, spa treatments, and so much more, not to mention you can use the pools, hot tubs, gyms, and sports courts to your heart’s content. 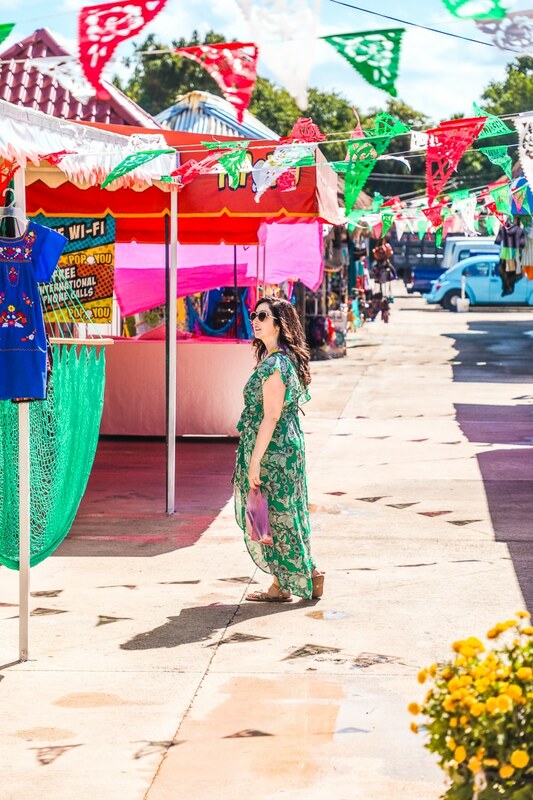 Then once you’ve reached your port, it’s time to shop, dine, and explore! As a foodie, I was a little concerned about what they’d be serving on the ship, but I couldn’t believe the choices they offered. There was cuisine for every palette, and most impressive of all, the food was fresh, and some of it was even readily available 24 hours a day! The kitchen bakes bread around the clock, served up sauces made from scratch, and offered steaks aged and hand cut on board. But my favorite treat was the homemade ice cream, which was made every single day! After last year’s hurricanes, you may also be wondering if the Caribbean is the best place to visit. But believe it or not, right now is the perfect time to get a taste of the tropics, as 90% of Caribbean cruise ports are open for business. You see, what is considered “the Caribbean” is a massive stretch of a million-plus square miles, and most of these areas weren’t affected by the storms at all. As for the areas that did see destruction, Princess Cruises’ parent company Carnival Corporation has pledged to provide up to $10 million dollars in hurricane relief. Tourism helps keep these communities thriving, so your vacation actually helps support their businesses. I’ve been so fortunate to be able to travel to dozens of places around the world, but no matter how seasoned a traveler you are, the thought of exploring a foreign country can be overwhelming. 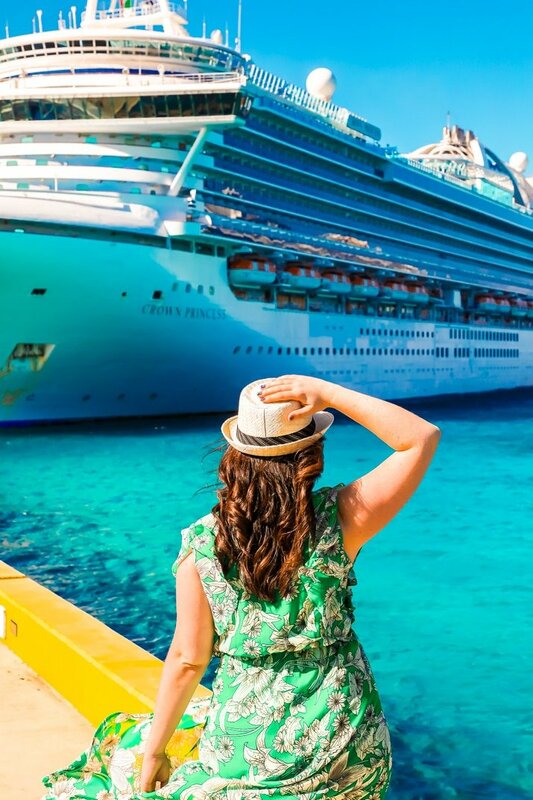 With Princess Cruises as your guide, you can be assured that you’ll be taken to some of the most vibrant, awe-inspiring, and delicious locations in the world. Not to worry, I’ll tell you! 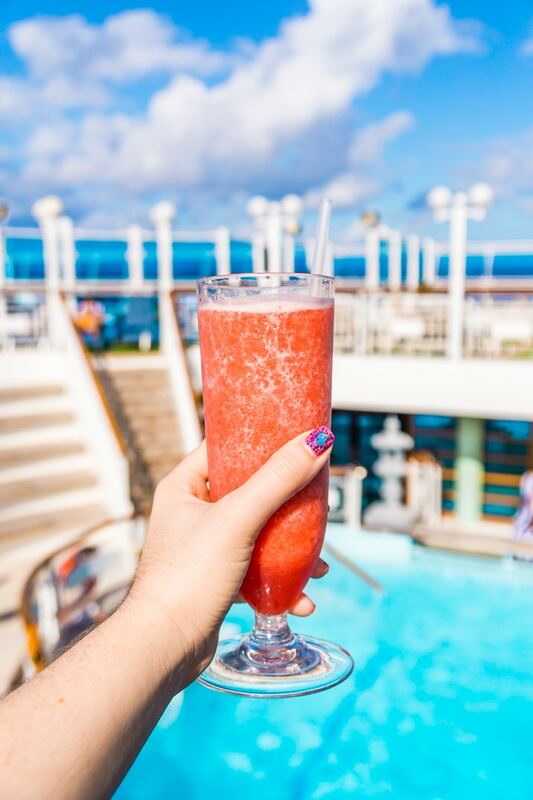 Your Caribbean cruise packing list will look similar to that of a beach vacation, but there’s a lot more you’ll want to bring! Below is an extensive checklist of what basics to bring, what you didn’t think to bring, and how to prepare for any adventure that awaits you. Passport: DON’T FORGET THIS! You won’t need it every port, but you will need it to get on and off the ship during embarkment and disembarkment in your starting port. Camera/phone for photos: Whether it’s your smartphone or a professional camera, you’re going to want to capture your favorite memories on film. Suitcase: You’ll obviously need something to pack all your gear, and I recommend hardside luggage with 360-degree swivel wheels. This makes for easy traveling, and protection for your goods when the luggage gets stacked. Swimsuit: Make sure it’s one that’s comfortable and you feel good in. This is the one I’m wearing in the photos, and I love it! Cover-ups: For when your suit isn’t enough, but clothes are still too much. This cover-up is one of my favorites. Flip flops: Easy to slip on when you’re ready to wander around the boat! These ones are my favorite! Sunglasses: The sun is very bright in the Caribbean, you’ll definitely need these. 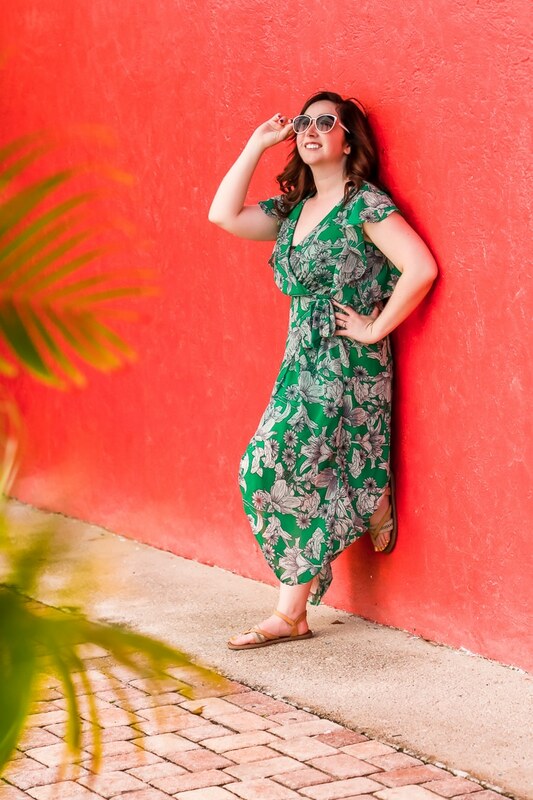 Maxi dresses: Cool, flowy, and easy to wear in those hot temperatures. Tees: I love loose cotton T-shirts for hot weather. Tanks: Again, find ones that are flowy and flattering. Shorts: Time to pull these out of storage! Sunscreen: A must, must, must! Even if you don’t burn easily, that tropical sun is HOT! A sunburn can really put a damper on your vacation. If you’re checking a bag, I recommend buying this ahead of time and bringing it with you. Or plan to pay about $15 a bottle on the trip. Books: For plane travel or poolside loungin’ check out my list of great romance novels for a little escape! Portable charger: This is one of those things that’s easy to forget, but you can’t live without! Travel-size makeup/products: Bring your favorites (these are mine), but Princess Cruises does supply bathroom toiletries (more below). Razor: You’ll be wearing bathing suits, shorts, and tanks for almost a week (or more) straight… enough said. This one is my favorite! Sweatpants: It can get cool out on the water once the sun goes down, and these feel great to slip into. Light jacket or sweatshirt: You’ll be happy to put on another layer if those sea breezes get brisk. Slippers: To keep your toes toasty on chilly nights, these ones pack really well! Formal outfit: You’ll get a chance to dress your best on formal night, which is always a great photo-op! Sneakers: You will definitely want close-toed traction shoes for certain excursions, for using the sports courts or gym, or just for walking around all day exploring the ports. And don’t forget socks! These are my favorites sneakers! Small crossbody zip purse: Personally, I think this is the easiest way to carry your essentials — ID, wallet, phone, travel sunscreen — when you’re out and about. Not only does it allow you to be “hands-free,” your personal items will likely stay safe and secure when they’re right at your hip. 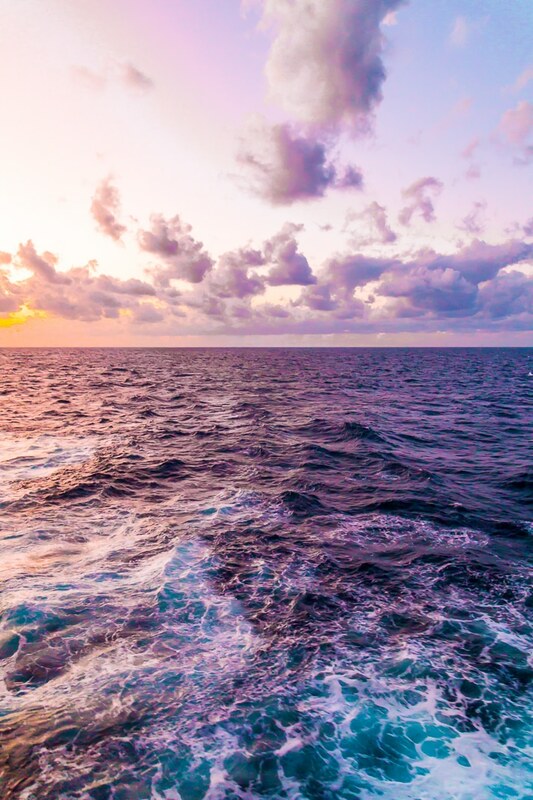 Seabands/Dramamine: While smooth sailing means you likely won’t get seasick on a cruise ship, it never hurts to be prepared. They may also come in handy if there’s plane travel involved on your vacation or if you’re doing an exclusive that includes a small boat. Ibuprofen/Tylenol/Advil: Nothing kills vacation vibes like a throbbing headache, so keep these on hand! Extra bag for goodies: In anticipation of souvenirs, I pack an extra bag in my suitcase and add it to my carry-on on the way home. I use this one. Bug spray: Whether onshore or close to it, those warm climates can sure get buggy! Wrinkle spray: There are no irons onboard the ship so this stuff is great, especially for formal night. Beach tote: For packing your poolside essentials. Power strip: There are very few outlets in the staterooms, so a few extra can certainly come in handy! Poo-Pourri: While the ship is expansive, the cabins are still close quarters. Keep ‘em smelling fresh! Phone dry pouch: This comes in handy if you’re poolside or on water-based excursions. Sunhat: Prevent sunburn in style. Magnets: The walls in the staterooms are magnetic and you get a lot of information delivered to your mailbox daily. This is a great way to organize it. Sticky notes: Stick reminders on the walls and never miss a beat to make the most out of your vacation! Towels: Beach and bath towels will be provided for you while onboard the ship. Robes: Another thing that’ll be provided while on the ship. Toiletries: Princess Cruises supply guests with toiletries from the onboard spa, Lotus Spa. Their products are awesome! So there you have it, my list of what to pack for a Caribbean Cruise. There’s one other pro tip I’d like to share with you before you set sail. When you first arrive at the port to head aboard the ship, Princess Cruise staff will take your luggage and bring it to your stateroom. While you’ll have access to your room, it may take a couple hours for your stuff to arrive while they get guests organized. To start enjoying the amenities on the ship as soon as possible, you should always keep a bag of essentials with you. I’d recommend packing your pool gear (bathing suit, cover-up, sunglasses, sunscreen, hat), IDs/wallets, phone charger, and of course, a good book! And just so you know, snack and light fare are available as soon as you step on the ship. 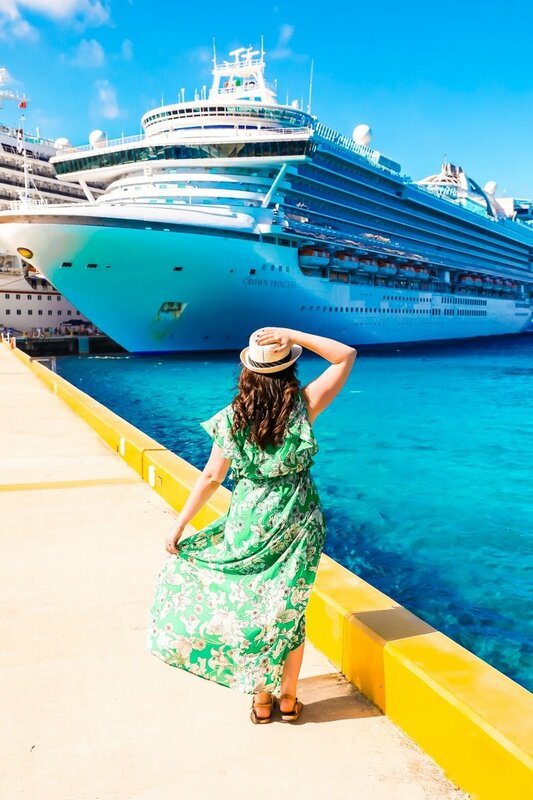 For a low-stress vacation that’ll allow you to explore the world in comfort and luxury, check out Princess Cruises’ huge selection of trips around the globe. If a Caribbean cruise isn’t your thing? Check out cruise options to places like Iceland and Scandinavia. Pin this Packing List for Later!